The Ashburton Temperance Band is pictured around 1910. Temperance bands were sponsored by temperance societies, campaigning against the sale of liquor. These bands performed at the same public events and contests as other bands. They also played at events put on by temperance societies, providing entertainment as an alternative to drinking. Members of temperance bands were supposed to be non-drinkers, but did not always live up to this ideal. 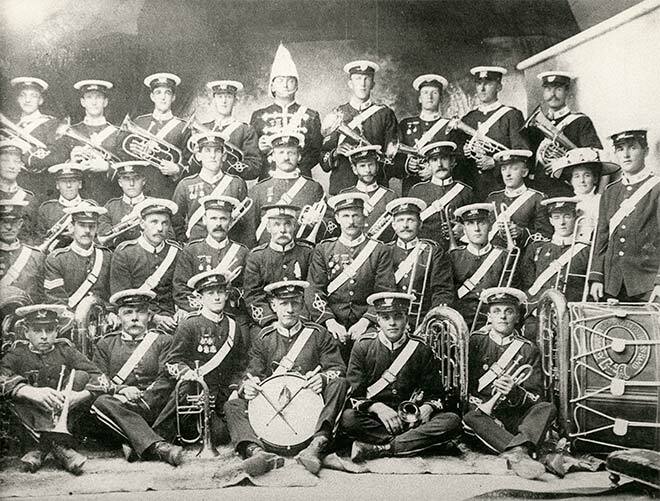 The Ashburton Temperance Band was formed in 1901 and won many awards in B-grade championships. In 1915 they became the Ashburton Citizens' Defence Corps band.